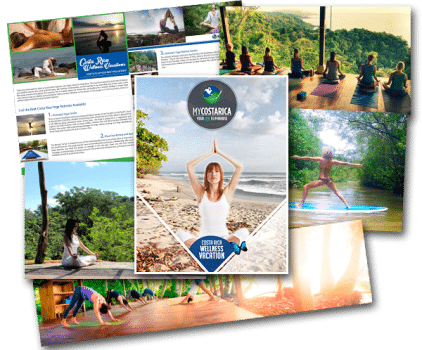 "Be one with nature and truly relax with your free Costa Rica Wellness Guide"
What’s inside the Costa Rica Wellness Guide? Iside the guide is all the best tips to help you find the perfect Costa Rica Yoga Retreat. Find out what retreat you should go to. Focus on your inner self and place a better connection with nature. 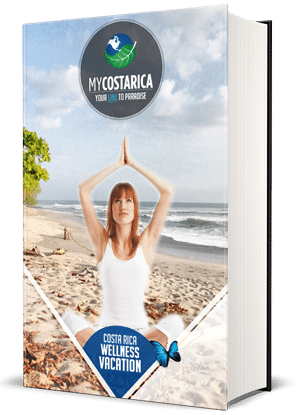 Also, find out how we at My Costa Rica can help make your wellness vacation to Costa Rica that much better. Not only is Costa Rica a beautiful country you will also be able to place a much better connection with nature with how deep we send you into the rainforest. Many of these Costa Rica Yoga Retreat’s are located far into the jungle. They help you have peace of mind and be as far away from unnatural life as possible. Other than practicing yoga, you could get a comforting massage, spend some needed time at the beach. Also, try out one of the many tours through any number of the national parks. Explore the most remote parts of Costa Rica and see for yourself why the locals love this country.